In this episode we look at using close-up filters to shoot macro images on any lens. 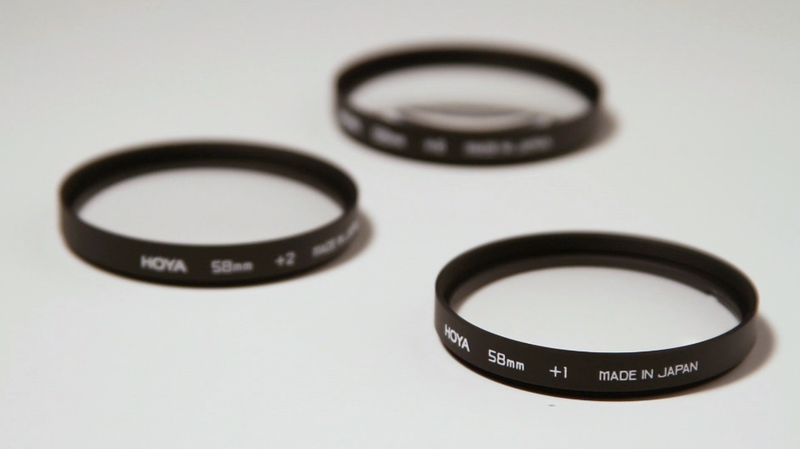 These filters are essentially a magnifying glass for your lens and are affordable. 43mm, 46mm 49mm, 52mm, 55mm, 58mm, 62mm, 72mm, 77mm. QuickTime File: DSLR Video Shooter Episode #008. Hey. Great review, and awesome idea to save some big money. How would it work with 24-70 lenses?? Or does it have to be prime lens only to use this? @calebpike loving the link for the macro filters! People are using them on all different types of lenses. 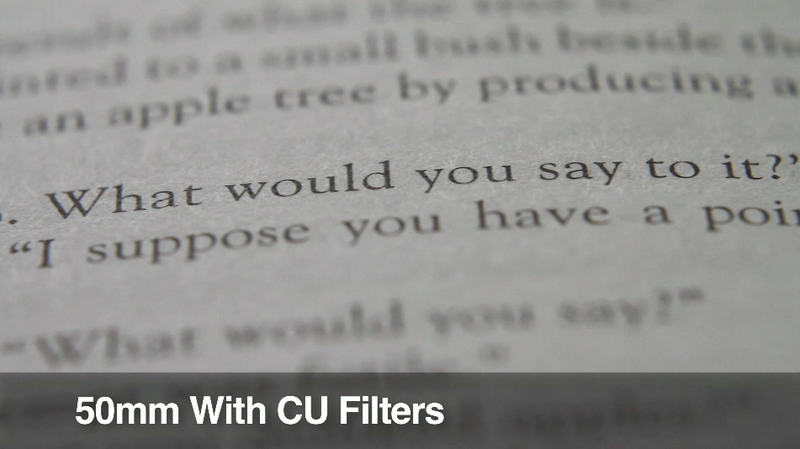 To fit one to your lens Just figure out what the filter size of you lens is and pick it from the list above. My guess is its a 77mm. 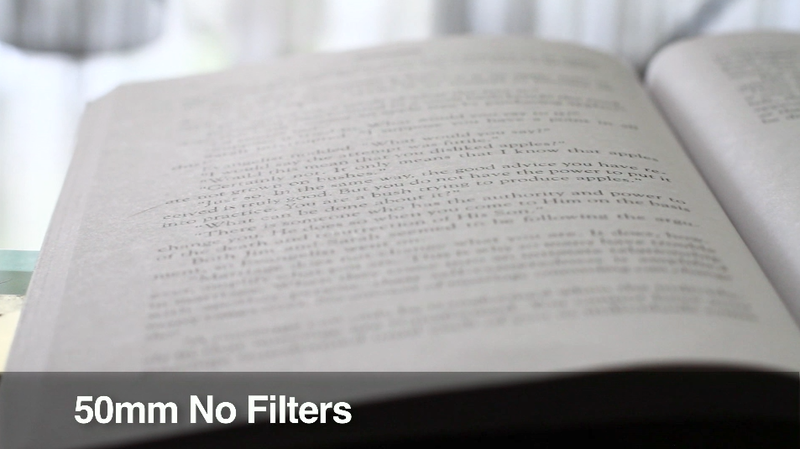 The filters work for both prime and zoom lenses. The millimeters that the video and article refer to are that of thread size, not focal length. Correct Kai, thanks for the clarification. Canon 24-70mm has a 77mm Filter ring size. awesome! Thanks a lot for the info. so if i use with 24-70 L lens at 70mm, it would be 70mm X 1.6 (APS-C) plus whatever filter that I put on… huh.. awesome. These filters don’t make you lens a longer zoom, they just let you get close to objects and maintain focus. So with these filters I can move my 50mm up to about 1/2 an inch away from an object and focus on it. That would be impossible to do with just the lens itself. So those images at the end of the podcast show the closed I can get to an object and focus on it WITHOUT the filter, than shows how close I can get and focus. Great job on this one Caleb! Also there are few more ways to create those awesome shots. Check it out. You will be surprised! Actually first video there worked great for me! Thats a cool way to get macro shots but I am not real crazy into the idea of exposing the rear element of my 50mm lenses. AND you will have to keep adjusting the 50mm’s aperture. Loving the topics Caleb! Curious, but can you describe your setup to shoot this episode? Lights, wattage per light, flags, or even setup photos would be great. Just a white sheet in the background, with a cookie (cut up cardboard) in front of a light. One key light, one rim light all under 500 watts. Caleb, I was just talking with a buddy of mine about macro lenses. This fits perfectly…thanks for the video! Stacking all three together is going to give you extremely close focus. So with all three Diopters your lens will need to be right on top of whatever your shooting. I use all three for super close up stuff. But most of the time I use 1 or 2. Its great because you essentially have 4 lenses by using the diopter kit. that makes sense. I’m going to test it out. I must have to get REALLY REALLY close with all 3 on there. thanks again! Fist of all Thank you very much! could i buy a 77mm and use that on 58mm lens with step up ring? from first until third *canon,hoya,tiffen* is more expensive but which one has more quality? @Rob, yeah I have to get super close with my 50mm with all 3 on. @Abbas, I Don’t see why not. You would have to test each one to find out. I found the Hoya brand ones to look great. On my 50mm F1.4 I don’t get auto focus when I shoot with all three units. Could i use this on all focal lenght ? Yes. I have only used them on my primes but according to Hoya they work on any lens. Great video once again! For some reason my feed for your site stopped working, did you change your feed? Hmm I don’t think so? Strange. Wow, you just saved me about $400. Maybe I’m blind, but is there no filter size for a 50mm or a 30mm lens? I want to use it on a 50mm canon 1.4 like you have Caleb and a sigma 30mm 1.4. Just figure out the filter size on you lens (my 50 is 58mm filter size). Okay, I have that same Canon 50 mm f/1.4 lens on my Canon EOS 7D, and on your suggestion, I bought these Hoya filters. But when I attach one to my lens, my camera won’t focus, either in auto focus mode or in manual focus mode. Either way, when I’m using the +4 filter (I haven’t tried the others), it throws the camera out of focus and my focus range won’t go far enough to get back into focus. What am I missing here? Hey, got a question! I have a Canon t2i 18-55 lens. Which filter size should i have to buy? Thanks!